Royal Air Force (RAF) members are sending a personal message to those responsible for the attack in Manchester on Monday that claimed the lives of 22 innocent people at an Ariana Grande concert. A photo began circulating on Thursday of an RAF bomb with a hand-written note on it that reads "Love from Manchester." 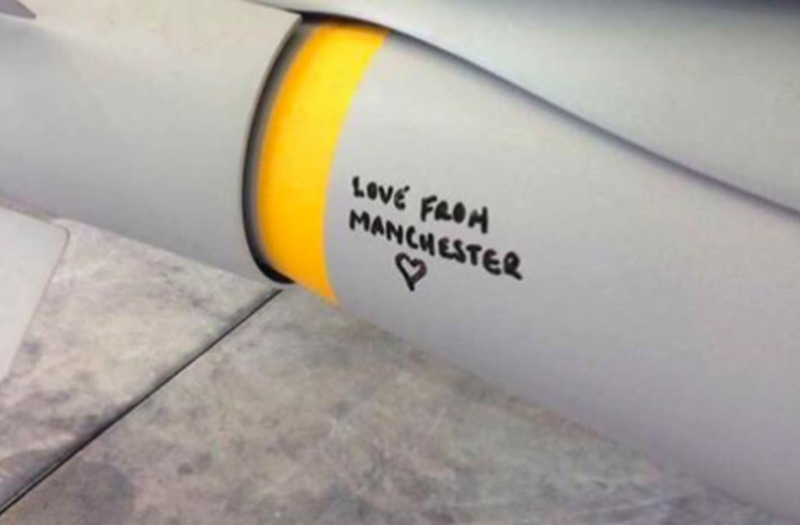 "The sentiment of the message written on the weapon is understandable and such writing has history in the RAF, so the individual concerned will not be taken to task," an RAF source told the Telegraph. The suicide bomber responsible for the attack has been identified as Salman Abedi. Abedi's brother and father, as well as six others, have been arrested since the attack.